Trump adds another general to his team, Matteo Renzi formally resigns, and Crowe exonerated for rapper scuffle. 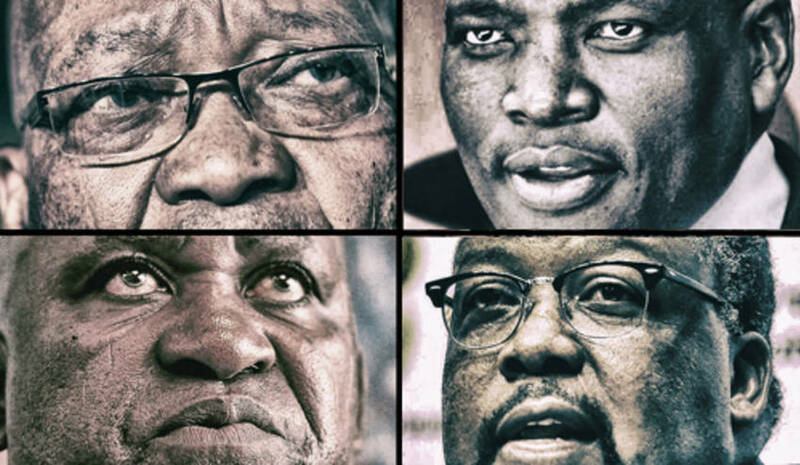 President Jacob Zuma’s ethos of delaying, undermining and subverting the work of Parliament – and for which the Constitutional Court found him wanting this year – has emboldened those who have gone rogue while serving him and who now seek to avoid accountability. The mass exodus from an ad hoc parliamentary committee by SABC lone ranger board chair Mbulaheni Maguvhe, his entire legal team, acting SABC CEO James Aguma and self-appointed SABC messiah Hlaudi Motsoeneng, as well as Minister of Police Nathi Nhleko’s vague presentation with regard to his fallout with IPID head Robert McBride, has attracted bipartisan anger by ANC Chief Whip Jackson Mthembu and the DA’s Zakhele Mbhele. By MARIANNE THAMM. Donald Trump has appointed another senior general into his cabinet. Retired four-star Marine general, John Kelly, is to head the department of homeland security. Joining generals James Mattis and Michael Flynn in Trump’s leadership. Add in a possible General David Petraeus appointment, and the Trump presidency is starting to look like the Trump junta. Italy’s Matteo Renzi has officially resigned as prime minister. After suffering a demoralising referendum defeat, Renzi has now left his seat of power. That said, the former prime minister and his embattled Democratic Party have indicated that they intend returning with a vengeance during a possible early election. Ever been caught mid-sin and needed a confession ASAP? Spanish developers have created just the thing. ‘Confesor GO’, to be released in Spain for now, will direct you to your nearest priest capable of taking confession. The app goes live today, on the Feast of the Immaculate Conception, a national holiday. Forgiveness is now just a finger push away for Spaniards in dire need of washing clean their sins. A Los Angeles court has decided not to charge Kiwi-turned-Australian actor Russell Crowe for assault. Crowe had been accused by rapper Azealia Banks of grabbing her by the neck and throwing her out of his Beverly Hills hotel room during a party. The court decided that Banks, who is generally more famous for her racist, islamophobic rants on Twitter than her actual rapping, was the “assaultive party”. Regardless, cocaine is clearly the losing party in all of this. The years of the longest marriage on record. It ended this year after one of the spouses passed away. Today in 1813 Beethoven’s Seventh Symphony debuted. Russia has a monument to lab mice celebrating their contributions to science.